Many gamblers and most fans, players, and coaches offer causal explanations for long runs of good or bad performance in sports and financial analysts are quick to offer explanations for the daily performance of the stock market. The records of professional basketball and baseball teams and the Dow Jones daily closing average for a ten year period were evaluated for trends (streaks). The records of teams were also evaluated to assess whether the record against opponents, the home court or home field advantage, and—for baseball teams—the record of the winning and losing pitcher (excluding the current game) predicted the outcome of individual games. Recent performance is, at best, a very weak predictor of current performance and the three best predictors for baseball (pitching, home field, and record against opponent) together accounted for only 1.7% of the variance in the outcomes of individual games. We overestimate our ability to predict. 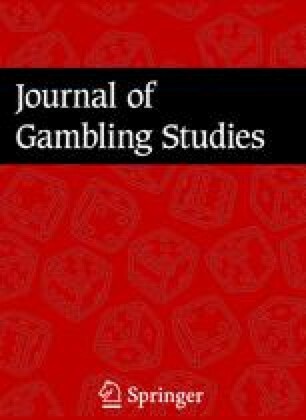 This overconfidence is likely to play a role in maintaining gambling behaviors. Thanks are due Janet Besaw, Raymond Frankmann, Neal Schmitt, and Rose Zacks. Robyn Dawes, while not making any specific comments on this manuscript, made a number of useful suggestions.